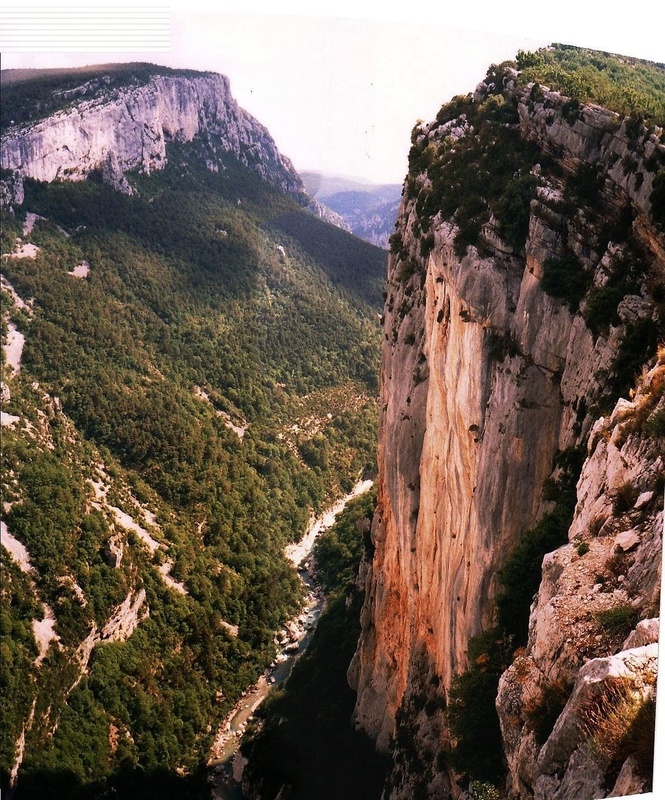 Located in the Alpes-de-Haute-Provence area of France, not far from the Cote d’Azur, this canyon, called the Gorges du Verdon, is one of Europe’s most spectacular natural wonders. It’s also one of France’s best-kept secrets. Perhaps because seeing the beauty of the gorge comes at a price: you have to drive on one of the scariest roads in Europe. But it’s also one of the most beautiful as the road follows the meandering river, zigging and zagging up, down and around mountains carpeted with yellow flowers, going through windowed tunnels and over a single span bridge. Although affording spectacular views of the canyon and river below, be aware that at times only a white line, a couple of little rocks and some wildflowers separate the road from a sheer drop to the bottom of the gorge. 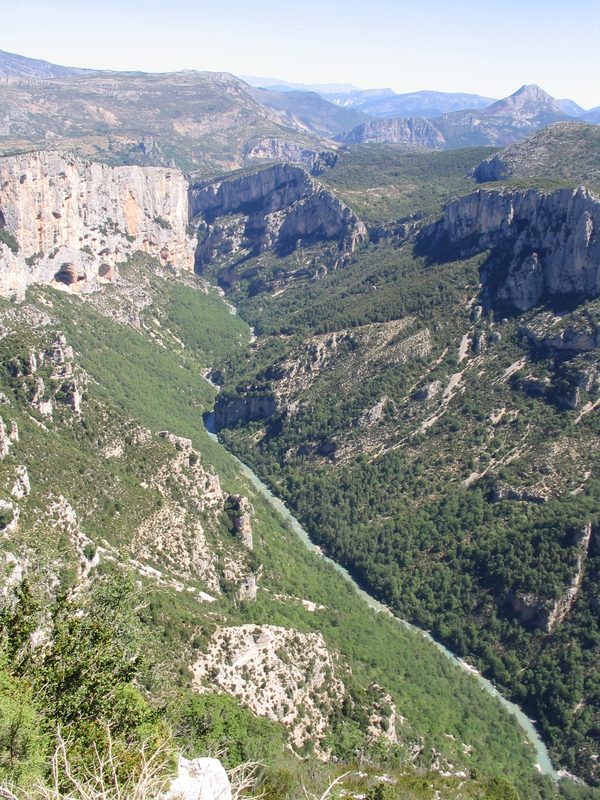 This entry was posted in Provence, Scenery and tagged Alpes-de-Haute-Provence, Canyon, France, French scenery, Gorge, Gorge du Verdon, Grand Canyon, Scenic drive, Verdon Gorge on June 3, 2013 by Rich Steck. Visit our Provence Escapes Website.